Igor Shteynberg discovered the Feldenkrais Method in 2008 while looking for a way to deal with tension and pain which were getting in the way of his martial art practice. Learning more about the method he came to appreciate how lasting improvements are achieved through a non-corrective and gentle process of exploring movement possibilities. Finding a way to be free from pain and tension, he became passionate about sharing the method with others and joined Feldenkrais Professional Training program in New York. Upon graduation from the program in 2011, Igor has started his private practice and continued taking advanced training taught by Sheryl Field to further improve his understanding of the method and ability to help people. Sheryl Field studied extensively with Moshe Feldenkrais (the founder of the method) and has been working with children with motor difficulties for over 20 years. 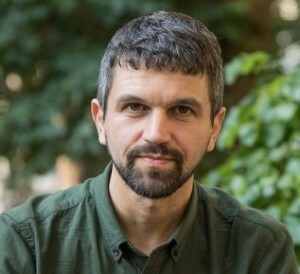 In addition to his private practice in NYC, Igor now works with Field Center For Children’s Integrated Development, conducting individual lessons with children as part of ChildReach project. Igor continues to be fascinated by how the intelligence of the human nervous system allows new possibilities to emerge. He finds great joy in witnessing transformations in his clients’ lives as they discover more ease, freedom of movement and awareness. Igor has worked with clients ranging from children with motor difficulties and developmental delays to professional dancers and musicians. He also has trained in Aikido, Russian Martial Art, and Contact Improv. His diverse background and professional experience in teaching Feldenkrais to a broad range of clients allow him to bring influences from many fields into his practice. Igor’s clients appreciate his ability to relate to their concerns, as well as his patience and care in gently helping them to facilitate the change. Igor has a philosophical approach that helped me to re-imagine and release old habits in my moving and find more ease in dancing and in everyday life. In addition to his private practice in NYC, Igor now works with Field Center’s ChildReach project, conducting individual lessons with children. He is supervised by Sheryl Field, who studied extensively with Moshe Feldenkrais (the founder of the method) and has been working with children with motor difficulties for over 20 years.